Subaru - this is a car brand of large industrial concern Fuji Heavy Industries Ltd. Cars - is not the only sphere of activity FHI; apart from them, the FHI is engaged in aircraft, rail, shipbuilding, etc. The history of the group, thanks to which the light appeared Subaru brand, started in 1917. Young engineer, aviation enthusiast Chikuhi Nakajima (Chikuhei Nakajima), opened this year in the city Nakagame Aeronautical Research Laboratory ( "The Aircraft Research Laboratory"). Aviation at that time in Japan was not as such, but because of World War I, which demonstrated its capabilities, opened, in particular, the laboratory Nakajima. In 1931, the laboratory became a company called Aircraft Nakajima Aircraft Co., Ltd, and the Second World War Nakajima Aircraft was very, very in demand - until 1945. In Japan defeated the US occupation authorities applied to the Nakajima Aircraft antitrust and restrictive laws, the company was renamed Fuji Sangye Ltd., and since Japan could not at that time have an army, the company was engaged in motor boats, cars, buses and petrol engines - had put achievements and talents in these areas. Automobile production is as such was not yet; it can be considered a harbinger released in 1946 scooter Rabbit ( "rabbit"), which is used to create the rest of the war since the aircraft parts. In 1950, Fuji Sangyo was divided into 12 separate activities, some of which after some time ceased to exist. But in 1953, five of the most robust of the spin-offs once again gathered together and were united in Fuji Heavy Industries. Later they were joined by the sixth. The Corporation is headquartered in Hiroshima was engaged in the production of jet planes, chainsaws, scooters Rabbit and diesel buses and gradually sought more and more success. P-1 (Subaru 1500), in which for the first time in the Japanese automotive industry realized monocoque body structure - In 1954, a prototype of the car was created. For all its excellent driving performance and comfort of the car did not go into production due to financial difficulties associated with its output and sales. But later, he played a significant role in the development of models of Subaru 360 and Subaru 1000. By the way, the name of the Subaru came to light thanks to the president of FHI - China Kenji (Kenji Kita). When was created the P-1, China announced a competition for the best name for it. He believed that the Japanese car must wear a Japanese name. But none of the suggested names and did not win the contest, and eventually came up with the name of China itself - it was the word of the Subaru. In Japanese it means "to unite, to gather together" and is the name of the constellation Pleiades (part of the constellation Taurus). Without a telescope in the Pleiades can consider the six stars (in fact, their more than 200), and not just through the merger of six companies and was formed Concern Fuji Heavy Industries. Subaru This car made its debut only in 1958. In war-torn Japan, when the engineering is not enough raw materials and fuel, the government in order to stimulate domestic industry adopted a law, according to which almost not taxed cars up to 360 cm in length and with less fuel consumption of 3.4 liters per 100 kilometers. FHI is the first company that issued the relevant requirements of this car - Subaru 360. He was only 3 m in length, equipped with two-cylinder two-stroke engine of 358 cc and a power of 16 hp In addition, it has a modern design with the use of plastic and aluminum, and an independent rear suspension. The engine was located behind. The car turned out to be very successful, largely overtaken by competitors and allowed concern FHI foothold in the automotive market, despite the fact that its first sales were quite low - in the first year of production was able to realize only 604 copies. But in the next, 1959, were issued 5111 of these cars, and in two years - more than 22 thousand. 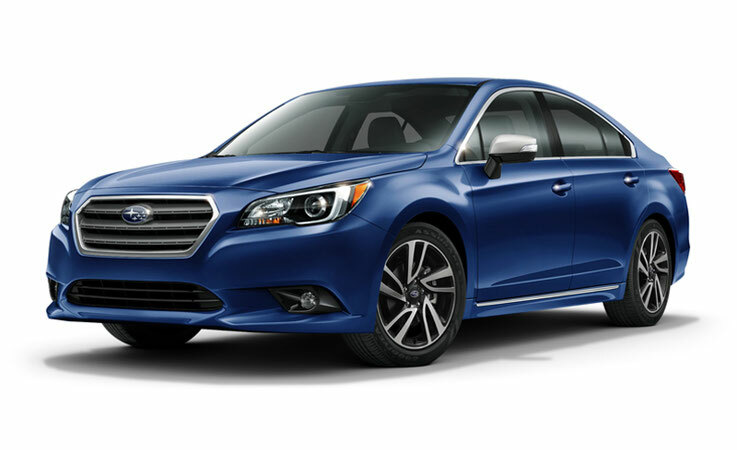 Subaru has become a leading manufacturer of cars of this class in Japan, and 360 got a new body styles - coupe and station wagon with a soft roof. In 1961, the division was founded Subaru Sambar, the direction of which were commercials vans and pickups. Inspired by the success of Subaru 360, in 1965 the company decided to enter the market of larger cars and Subaru has released model 1000. It was Japan's first production car with front-wheel drive, 4-cylinder boxer engine of 997 cc and a power of 55 hp . (With the model and began the history of Subaru boxer engine), with avant-garde at the time of appearance, which became a model for many imitations. Looking at the increasing domestic sales, the Group's management decided to make an attempt to export its cars in Europe and the US. In Philadelphia, the company Subaru of America, Inc. was founded model 360, but the attempt was a failure of its exports has been selected for the US market. the car did not cease to be popular, as well as came to replace him in 1969 model year R-2 the other hand, the Japanese market. And to replace the Subaru 1000 at the same time there was an upgraded version of it - Subaru FF, with the increased volume of the engine. But soon (in 1971) Subaru FF was replaced by model Subaru Leone - the world's first all-wheel drive passenger car, which caused a great interest among professionals and among ordinary consumers. Thanks to this car Subaru took free of the more powerful competitors niche-wheel drive vehicles. And in 1972 to replace R-2 came Rex model with a 2-cylinder engine of 356 cc and water-cooled. In 1974, he is shown abroad Leone began to experience a real boom in sales - 100,000 vehicles were sold within two years, of which 30 000 - in the US. In 1975, exports amounted to 26.9%. In 1977, the export model Subaru Brat in the United States. Subaru Vehicle Manufacturing meanwhile gradually went up the hill - in 1979 it was 150 000 vehicles, and in 1980 - 202 000. 1982 - Subaru began producing engines with turbocharging. In 1983 he was a model of Subaru Domingo - van with four-wheel drive. With the plant came the 5 millionth car Subaru. 1984 - appearance Justy model, which for the first time in the world was installed electronically controlled variator ECVT. 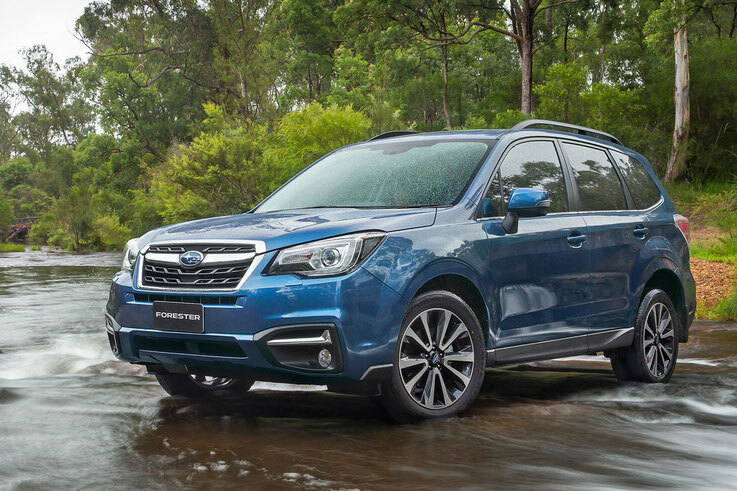 Subaru 4WD vehicle production reached a value of 1 million. Annually it produced about 250,000 vehicles, of which slightly more than half were exported. And in 1985, Subaru has released a luxury sports car - Alcyone (XT), who had a 6-cylinder boxer engine producing 145 hp and a host of cutting-edge features and functions. In 1987, the US opened a joint venture with Isuzu Motors - Subaru-Isuzu Automotive Inc. In the same year there was "a follower" Leone, called to replace him in the lineup - Legacy, whose history continues to this day. Legacy was shown at the International Motor Show in Chicago. He, like Leone, was equipped with all-wheel drive; but, unlike Leone, here the producers refused to be disconnected from the rear-wheel drive and a fully switched to 4WD. In 1989, in Arizona, to track testing ground Legacy established 2 international and 13 national records. He walked 100,000 kilometers at an average speed of 223.345 km / h and overcome this distance in 19 days of continuous driving on a track with stops only for refueling, change of consumables and, of course, pilots. Then the Legacy Station Wagon as standard (for the Japanese domestic market, with the engine 2.0 twin turbo) set a speed record for serial wagon - 249.981 km / h - on the highway in the vicinity of Salt Lake City. In addition, the US company Subaru-Isuzu Automotive started production, and at the Tokyo Motor Show was exhibited car class gran turismo - Subaru SVX, all-wheel drive sports coupe with avant-garde design so that it is up to date so far. Since 1990, in the history of Subaru began a new period - the cooperation with the British company Prodrive. Concern has decided to participate in motorsport, Prodrive and Subaru cars began to prepare for competitions. Already in the same year he won the Legacy Safary Rally in the "N" group. Thus began a brilliant way of Subaru's rally and circuit championships, where cars of this brand not just won victories. And in the "civil" Subaru industry in 1990 released a purely urban small car - Vivio. It was equipped with an engine capacity of 658 cc and has become known variator. There was also a "sport" modification of avtomobilchika, accelerates to 100 km / h in just 5.4 seconds thanks to the bi-turbo motor capacity of 102 hp (At the same volume). At the rally car, built on the basis of such Vivio, pilot Colin McRae has successfully performed at the Safari Rally. 1992 - on the market there is another novelty - Impreza, which has become legendary car through its continued participation in the rally and is equipped with a whole range of engines - from the 1.6-liter to 2-liter turbo. Impreza has become a real standard for imitation of other automakers. In 1993, a new generation of the Legacy; in the same year of the model car for the first time I won a stage in the WRC - Rally New Zealand. In 1994 there was a trial batch of Outback models in the US - a new class of vehicle, passenger sport wagon with SUV capabilities. At the same time, Subaru followed the general trend for all car manufacturers, established in 1995, electric - Subaru Sambar EV, and in 1996 Subaru Legacy Outback went to series. In the same year, it was developed and launched in the implementation of the processing system of bumpers. 1997 - year of the emergence of another model from Subaru - Forester, who brought a lot of difficulties classifiers. This car was very difficult to attribute to any of the already known at the time of categories; he was a cross between a station wagon and SUV. Moreover, it began to invoke and imitate him other automakers; so Subaru has created a "reference car". Forester was equipped with a 2-liter boxer engine and 5-speed transmission. In 1998 he came to replace Vivio model Pleo, appeared third-generation Legacy. Legacy Station Wagon set a new world speed record for station wagons, and in addition, with Pleo has become "the new car of the year" in Japan. 1999 was a year of alliances - were signed business agreements with General Motors and Suzuki Motor Corporation. In 2000, the Impreza has received the title of car of the year in Japan. At the Detroit Motor Show in 2002 was featured pickup Baja, which became the basis of the Outback. To date, Subaru produces its cars by 9 factories, 5 of which are in Japan and sells them in 100 countries. Each year produces about half a million Subaru vehicles; To some it may seem a small number, but do not forget that the company Fuji Heavy Industries, in addition to cars, busy and other industries. 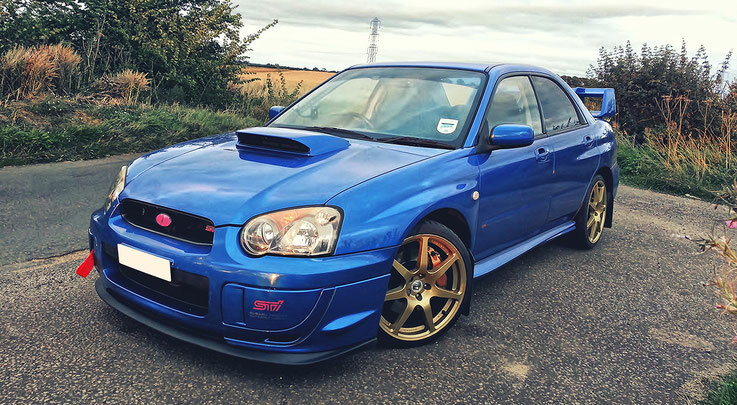 The distinctive features of Subaru can confidently include such brand development, is now used throughout the world as the four-wheel drive (which is still the Subaru brand name) opposed engine and monocoque body structure. And, of course, high quality and originality of cars, demonstrating excellent performance in everyday use and in motorsport.